Novel paradigms and advancement of collections-based research for solving societal and global issues has prompted scientists in recent decades to advocate for collections that improve associated data holistically. We review current knowledge, philosophies, and advocacy of this approach to natural history collections and present information about a new natural history collection that has been founded on many of these principles as a result of this call to action. This collection has resulted in the unification of three Bolivian and two American institutions, and provides a vehicle for improved educational and research opportunities in an underprivileged and underrepresented area. These novel paradigms are conceptualized in our models of specimen data and natural history collections use and summarize holistic approaches to data collection, scientific collaboration, education, and public outreach. 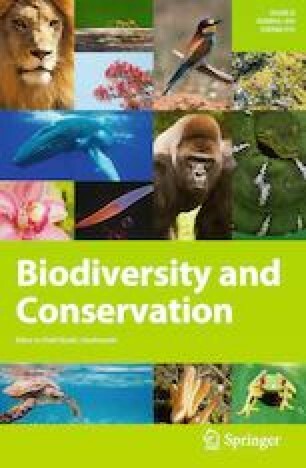 These approaches address biodiversity conservation from a global perspective but focus on the importance of natural history collections and biodiversity infrastructure in developing countries. We suggest that natural history collections follow this framework to address global biodiversity challenges. We thank Servicio Nacional de Áreas Protegidas, Reserva de la Biósfera Estación Biológica del Beni, Direccion General de Biodiversidad y Areas Protegidas, and numerous Bolivian communities for access to study areas and field support. We thank Scott E. Henke and Alexandra L. Brenk for editorial comments on previous versions of this manuscript. Specimen collection was approved by the TAMUK (#2018-05-22) and TAMIU (#2018-3) Animal Care and Use Committees and permitted by the Dirección General de Biodiversidad y Áreas Protegidas. Funding and logistical support was provided by Texas A&M University—Kingsville, Texas A&M International University, Centro de Investigación de Recursos Acuáticos, and Universidad Autónoma del Beni “Jośe Ballivián”.